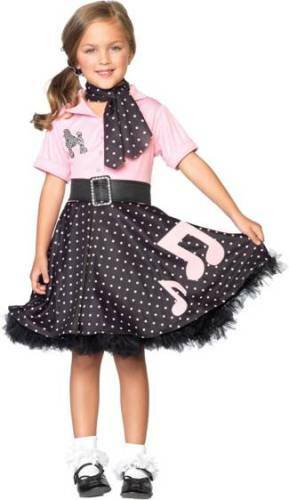 A Blast from the Past with this Jukebox Sock Hoppin' Sweetie. 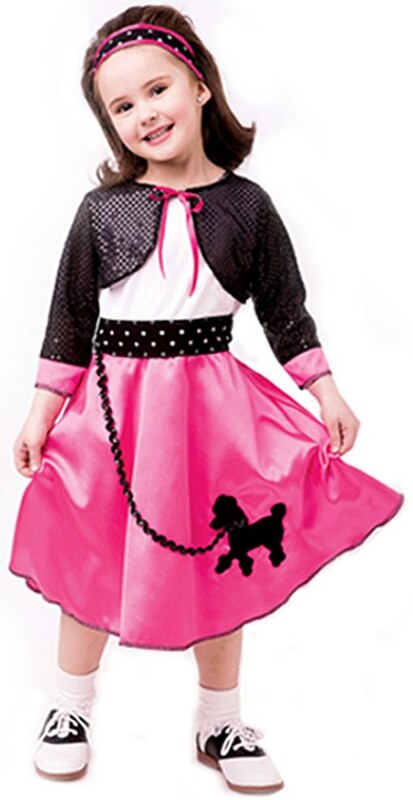 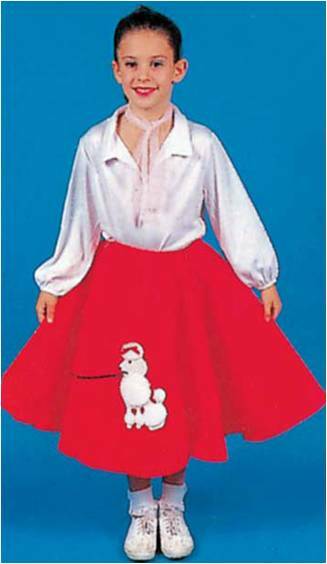 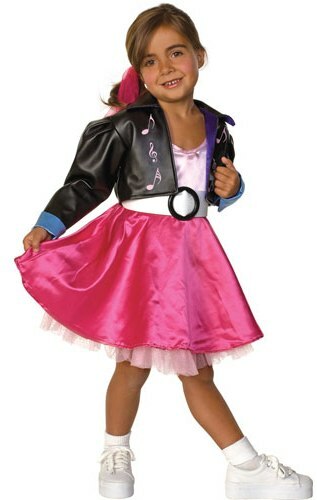 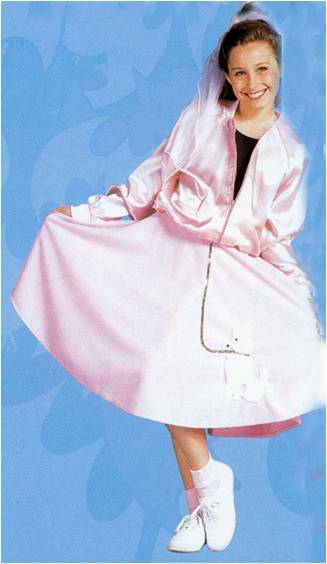 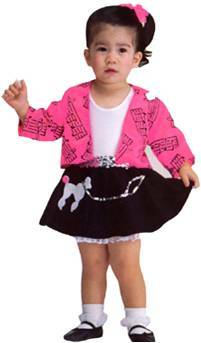 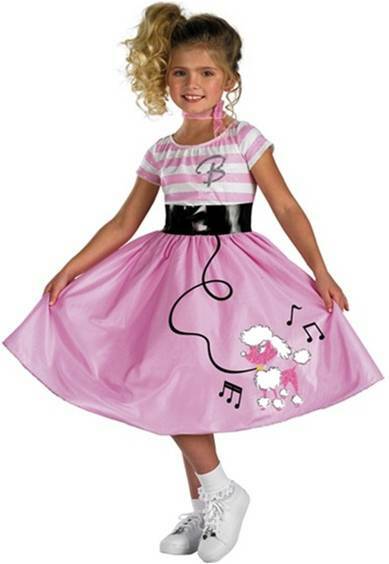 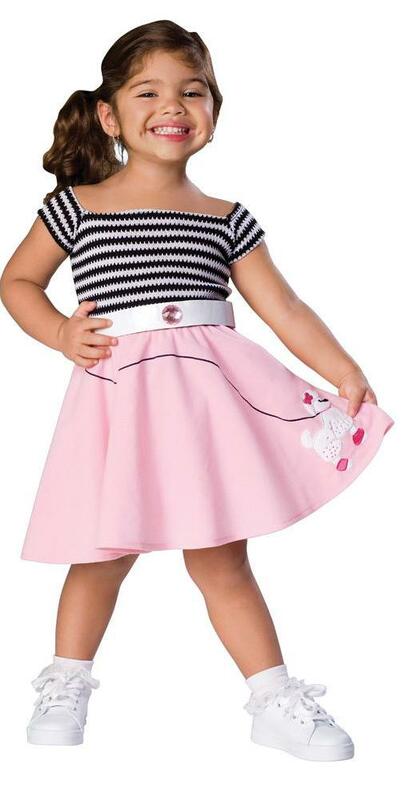 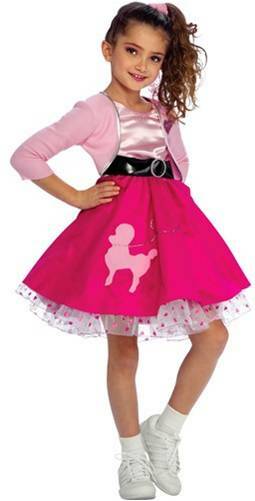 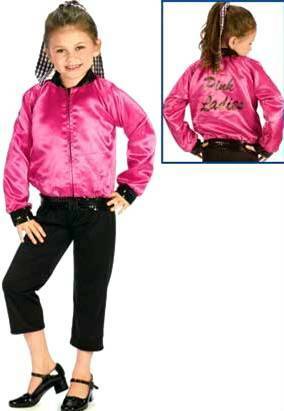 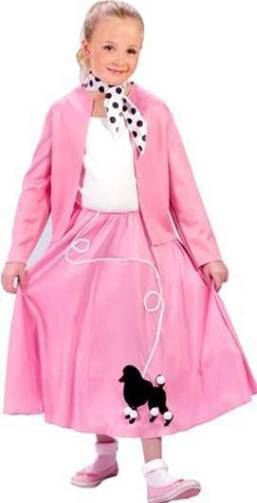 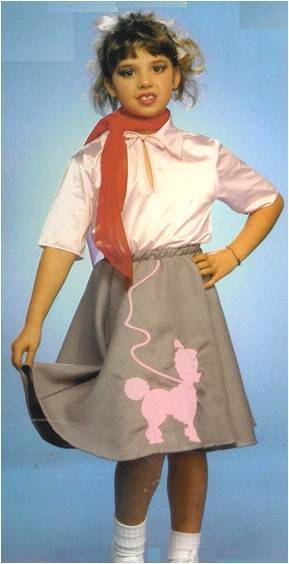 3 piece Costume features a black/pink cardigan dress with poodle applique and polka dotted skirt, attached faux rhinestone belt, coordinating hair scrunchie and matching neck scarf. 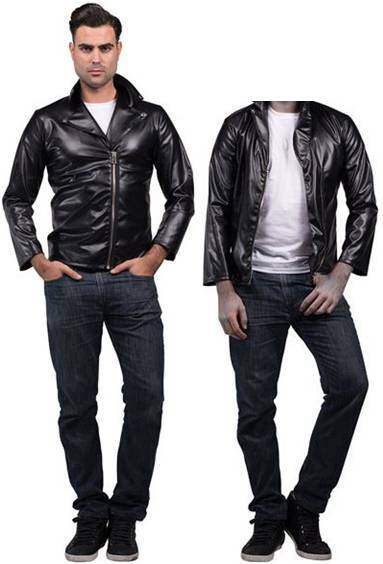 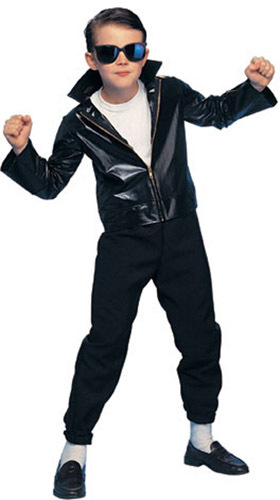 All that's missing is the Soda Pop! 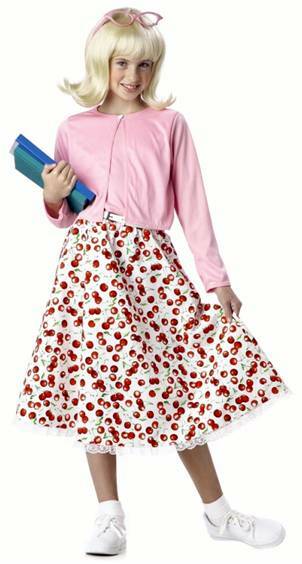 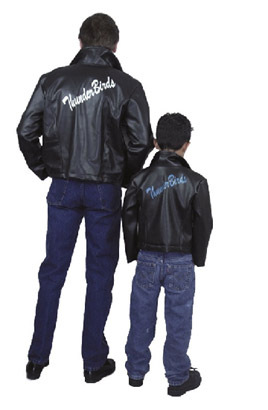 Additional 50's accessories sold separately including socks, glasses, earrings, purse and shoes.